Uncover the rare, unusual and intriguing with FOM members in Singapore. Curio offers spontaneous opportunities from an evening at the theatre to sampling the best local cuisine with one of our Foodie Groups. We also offer a variety of workshops to improve your photography, drawing or culinary skills. Join us for one or as many activities as excite you. 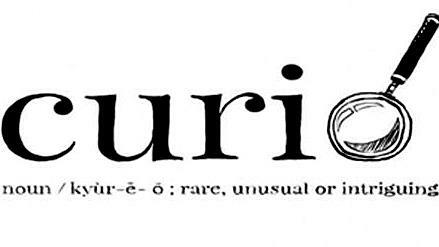 The Curio Team is always looking for exciting new ideas and members to help organise our events. Click here to send us your suggestions and/or join the team. As the name suggests, we organise Foodies events in the evening to accommodate members who can’t make it during the day, but would like to meet like-minded FOM members. We will attempt to find interesting, local, different and quirky restaurants. The restaurant will offer us a special sampling dinner and we will get to hear a little bit about the history of the Masons as well as the building. Join us on 25th of April 2019 for Foodies after Dark and enjoy a special dinner. How does it work? You sign up and pay 5S$ to participate, food & drinks and cost will be shared on the evening. We will get in touch with you via e-mail with the details a couple of days before the event. 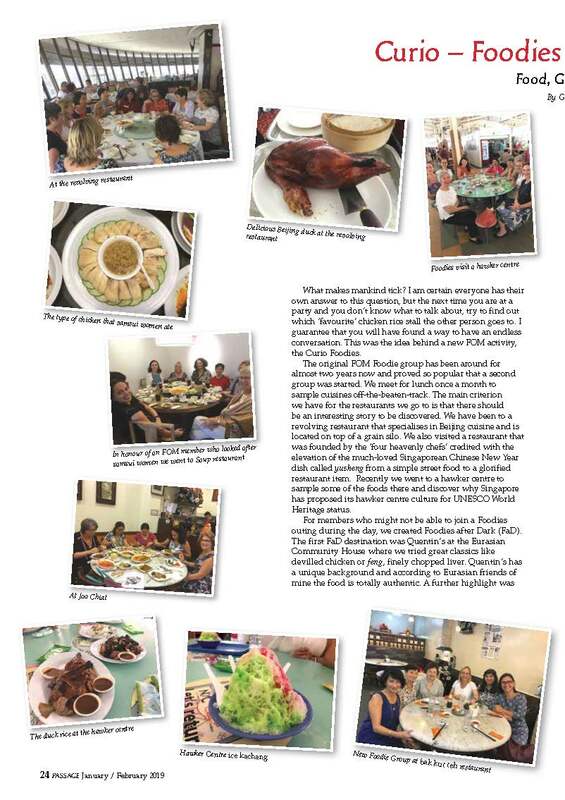 We meet once a month, usually on the first Tuesday of the month and explore Singapore's unique Foodie culture. We try to find restaurants with traditions or specialties all over all over town, but we are not restricted to restaurants we do go to the hawker centers too. The first outing will be on Tuesday the 2nd of April. The registration fee is an annual membership fee and we share the cost of each meal. Looking forward to a fun year of foodie adventures. 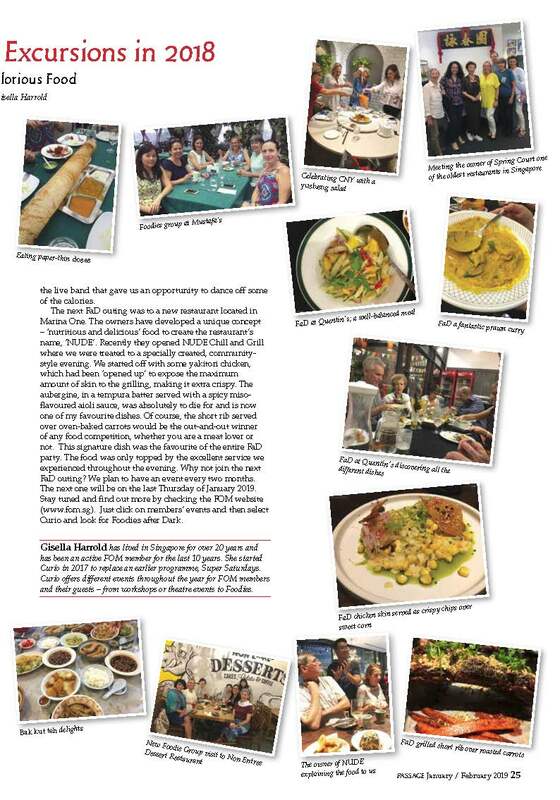 We meet once a month, usually on the first Thursday of the month and explore Singapore's unique Foodie culture. We try to find restaurants with traditions or specialties all over town, but we are not restricted to restaurants we do go to hawker center too. The first outing will be on Thursday the 4th of April. A 1930’s guidebook pitched Shanghai thus: "High hats and low necks; long tails and short knickers; inebriates and slumming puritans. Wine, women and song. Whoopee! The throb of the jungle tomtom; the symphony of lust; the music of a hundred orchestras; the shuffling of feet; the rhythm of abandon; the hot smoke of desire under the floodlights; it's all fun." What made early 20th century Shanghai the Paris of the East? Who were its inhabitants and how did this vibrant city become, in the words of prolific writer Mu Shiying of that era, a phantasmagoric world of debased lifestyles of affluent Chinese and privileged foreigners? This presentation grew out of research conducted for the 2011 FOM Shanghai study-tour. The presenter is indebted to the authors of the excellent books (see above) for unique perspectives on what made Shanghai one of the most interesting places to be in the Jazz Age.